Fuel Matters – All fuels are not the same. Your fleets fuel economy can be improved through a combination of good driving habits and using the right fuel. 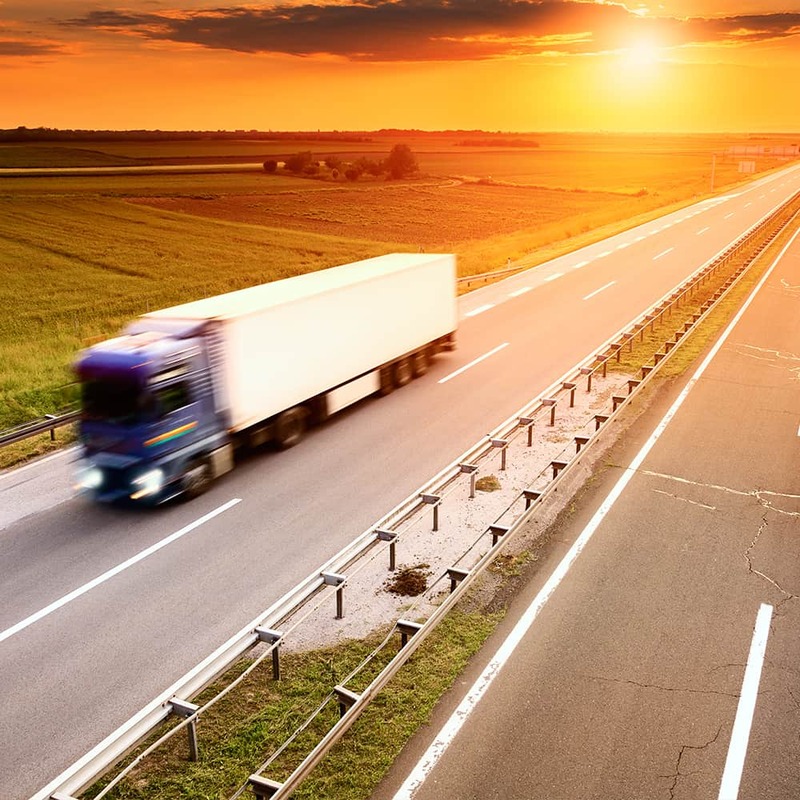 Avoid carrying excess weight – surprisingly, every extra kilogram matters and affects your fleets fuel efficiency. So keep your boot and back seat clear of unnecessary items that just add weight to your vehicle (e.g. golf clubs). Use the correct oil – Always use the recommended grade of motor oil. Using the manufacturer’s recommended lubricant can improve fuel efficiency. Tune and service your fleets engines and follow the guidance in your vehicle handbook – A well-tuned engine can improve fuel economy, so change your oil and follow your manufacturer’s recommendation on servicing. For example, replacing a clogged air filter can improve fuel economy and will help protect your engine. Keep your tyres at the right pressure – Correctly inflated tyres are safer and last longer. A tyre that is under inflated by 10% can reduce fuel economy. An under or over inflated tyre is also more susceptible to failing. Plan trips carefully and avoid the rush hour – Cutting down on the time spent in the car is the easiest way to conserve fuel. To reduce driving time, combine all your short trips and errands into a single journey. Plus, if you can travel outside of peak times, you’ll spend less time stuck in traffic and consume less fuel as a result. Use air conditioning sparingly – Air conditioning puts added load on the engine and uses fuel to operate, so limit use to particularly hot days. On high temperate days consider using the fan instead. Keep the windows closed – Wind blowing through an open window will slow you down. To compensate, you may put your foot down harder, using more fuel. Take the roof rack off – If you’re not using your roof rack then remove it. They affect the aerodynamic efficiency of your vehicle by creating extra drag, reducing fuel economy. Drive smoothly – Aggressive driving can use as much as a third more fuel than smooth driving. Avoid accelerating or braking too hard and try to keep your steering as smooth as possible. Avoid excess idling – Idling gets you nowhere but still burns fuel. Turn the engine off when you’re in a queue, or waiting for someone. As a rule if you think you will be stopped for more than 10 seconds, switch off your engine. Use higher gears and avoid over revving – The higher the gear you drive in, the lower your engine speed, which can improve fuel efficiency. So change up a gear whenever you can, without labouring the engine. Change gear in good time when you pull away or when you’re accelerating. Never ‘redline’ the rev counter. Conserve momentum and keep your distance – Think ahead when you’re driving. For example, slow down early to let traffic lights change, rather than stopping completely, or speed up a little before you reach the foot of a hill. Leave a sensible distance between yourself and the car ahead to give you ample time to brake evenly. Use cruise control – Using cruise control on major roads helps you maintain a constant speed and, in many cases, will improve fuel consumption. Avoid high speeds – The faster you go the more wind resistance you’ll encounter and the more fuel your vehicle will consume just to maintain speed. Driving just a few miles per hour under the motorway or national speed limit can improve fuel economy. 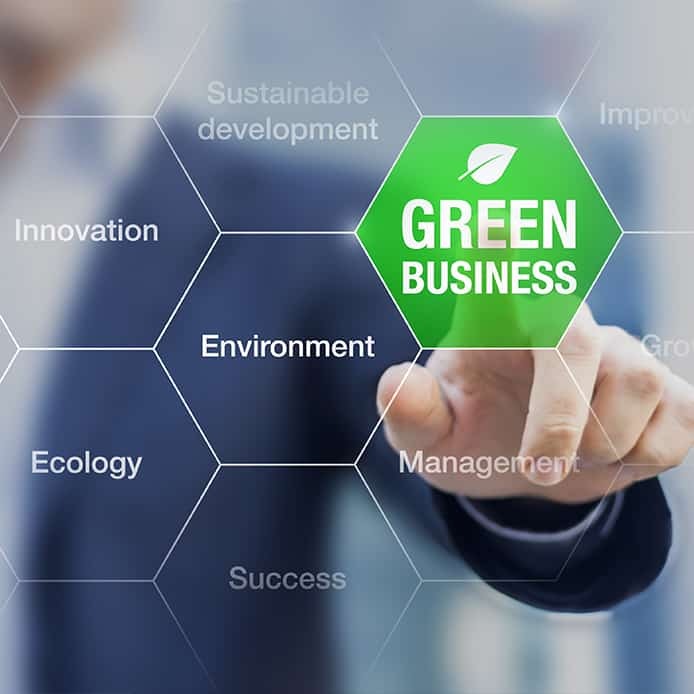 Use a tool such as CO2Count to help you to start to count the Greenhouse Gases that your fleet omits, setting you on the road to getting it under control and then cutting it. Reduce or replace inefficient, outdated or excessive lighting within your building. When replacing old lighting equipment, evaluate new technologies that may need fewer lamps. Where practical, replace incandescent lamps with compact fluorescent lamps (CFLs). Replace incandescent “EXIT” signs with LED signs. LEDs use about one-tenth the wattage and last 50 times longer than incandescent-lamp signs. Install lighting occupancy sensors that automatically turn lights on or off, depending on occupancy. Take advantage of natural daylight: turn off or dim electric lighting when adequate sunlight is available. Repair leaks in piping, air ducts, coils and fittings. 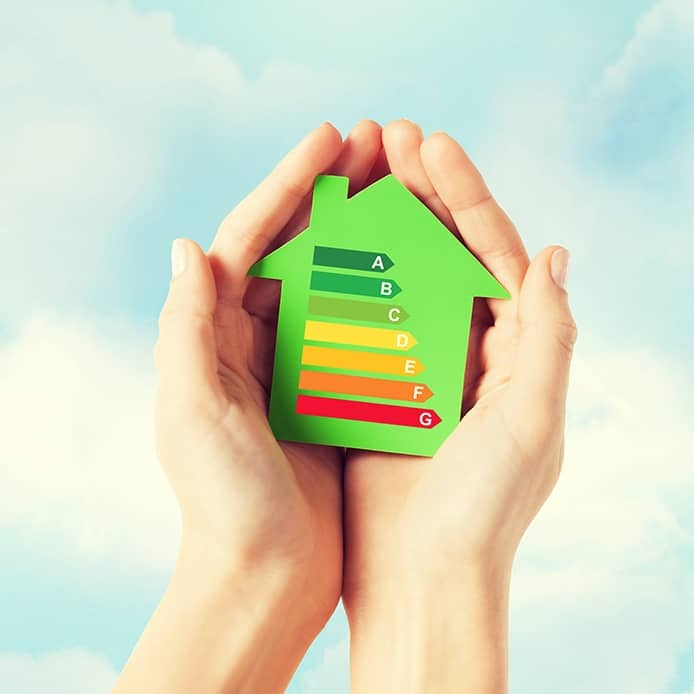 When replacing air conditioning units of five tons or greater, purchase units with a high energy efficiency ratio (EER) of 10.5 or more to reduce operating costs for the life of the unit. Ensure that your contractor performs a “Manual N” calculation to select a properly sized system based on your building load characteristics and specific occupancy needs. When old motors fail, replace them with premium efficiency motors that operate at a lower annual cost. Ensure you specify the proper sized motor for the application. Use outside air and water side-economisers for “free cooling” when outside air temperatures and conditions permit – during the spring and autumn. In winter, set office thermostat offices between 65 and 68 Fahrenheit during the day/business hours, and 60 to 65 degrees during unoccupied times. In summer, set thermostats between 78 and 80 degrees Fahrenheit during the day/business hours, and above 80 degrees during unoccupied hours. In larger facilities with energy management systems (EMS), verify that temperature set points and operating schedules are correct for the controlled equipment. Turn off computers, monitors, printers and copiers during non-business hours. Save energy during periods of inactivity and ensure that the power management system for your office equipment is active. Ensure your screen saver is compatible with the computer’s power management features, and that the setup allows the system to go into power saver mode. Educate and encourage employees to be energy-conscious and to offer ideas about how energy can be saved. Designate a “responsible party” to be responsible for and to promote good energy practices for the organisation and/or facility. Fit loft insulation. Houses lose a quarter of their heat through the roof – insulation of 270mm will save on heating bills as well as reducing emissions. Cavity wall insulation. Houses lose a third of their heat through the walls. This can save £115 a year on fuel bills and reduce carbon footprint. Solid walls can also be insulated. Double glazing can save up to £80 a year. Upgrade your boiler to an A-rated one and your household heating bill should drop by, on average, around £235 a year. Only boil as much water as you need for your cup tea. Hang clothes out to dry and only switch on the washing machine for a full load, using a 30 degree wash.
Take quick showers rather than long baths. Turn down the thermostat – a change of 1 degree C can cut fuel bills by up to 10 per cent. Set your hot water thermostat to 60 degrees C.
Close the curtains to prevent heat loss through windows. Switch to energy saving light bulbs. Recycle anything your local council will collect. Fit an insulating jacket to your hot water tank – if every UK household that could fitted an adequate tank-jacket tomorrow, it would save over £132 million of energy every year. Stop buying cheap disposable clothing – it uses more energy to make a tonne of clothing than it does to make a tonne of steel. More than one million tonnes of clothes is thrown into landfill sites every year in the UK. There, it degrades and releases methane into our atmosphere, a greenhouse gas which is 21 times more powerful than CO2. Reduce electrical waste. The average UK citizen generates 3.3 tonnes of electronic waste in their lifetime. Producing, transporting and consuming food is responsible for nearly a third of individuals’ contribution to climate change. Buy seasonal food that has not had to be transported from abroad. Home composting diverts waste from landfill, saving on climate change emissions and can also provide a cheap compost for the garden.